My nokia 6.1 is not working properly .it hanging . 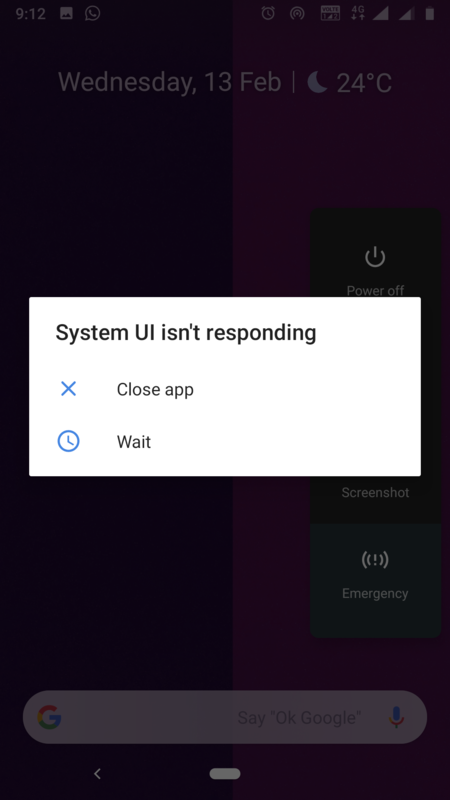 Many a times and a notice is shown that system ui is not responding . I am also facing this issue after upgrading to pie version. In every 2 days I am facing this problem. These all look like apps are hanging. Try charging in safe mode and see it happens again. Run the phone in safe and see if you have these issues. You have to narrow this down to which apps are doing this. First try this, go to settings>apps & notifications>see all apps>tap on 3 dots on top right corner>show system>search for *system ui* and clear the cache. Restart the device and see if the problem is resolved. Then we can go the hard way, if it occurs again.